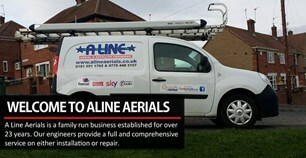 A Line Aerial & Satellite Engineers - TV Aerials/Satellite Services based in Sunderland, Tyne and Wear. A Line Aerials & Satellite Engineers is a family run business established for over 25 years. Sky dish fitting and repair. Digital aerials fitted including 4G aerials & 4G filters. Network cable to other rooms. Our 5 million pound Domestic and Commercial Public Liability Insurance offers you the peace of mind which comes with the knowledge that your property is in safe hands. Feel free to call me at anytime. 7 days a week.including holidays. No obligation quotes available.